Editor’s note: Tom Maney was inducted into the MSBL National Hall of Fame in 2016. With apologies to Tom and his family we weren’t able to hook up until now for a feature story and want to share his induction with the MSBL world as well as insert his deserving story into the 2016 Hall of Fame page on the website for all to share in the years ahead. Please enjoy this special journey about this very special person. 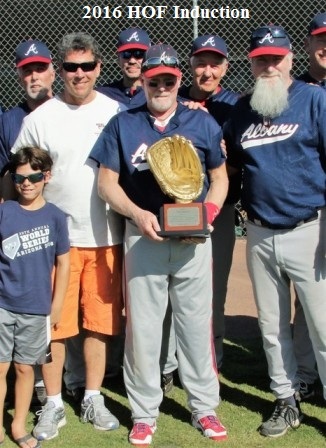 Tom Maney is a fixture in the Capital District MSBL and a regular at the MSBL World Series every fall in Arizona as a member of the Inland Angels. Tom is now in his early 60’s, retired from General Electric and living near Albany, New York. Tom began his MSBL career back in 1992 so for his continued participation in MSBL leagues and tournaments and his dedication to the wonderful Capital District MSBL, MSBL Founder and President Steve Sigler has inducted Tom into the MSBL National Hall of Fame.